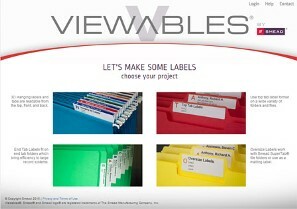 The Smead Viewables Color Labeling System is the easiest way to create professional labels for all your hanging folders and file folders. Premium 3D tabs for Hanging Folders - The Ultimate! Quick Fold Tabs - Quick & Easy! Multi-Purpose Labels - Use On Anything! Viewables Pocket Label Pulls - Use On Pockets! Below you will find a playlist of helpful videos on Viewables.com topics and functionality. Use menu on right side of player to select topic.